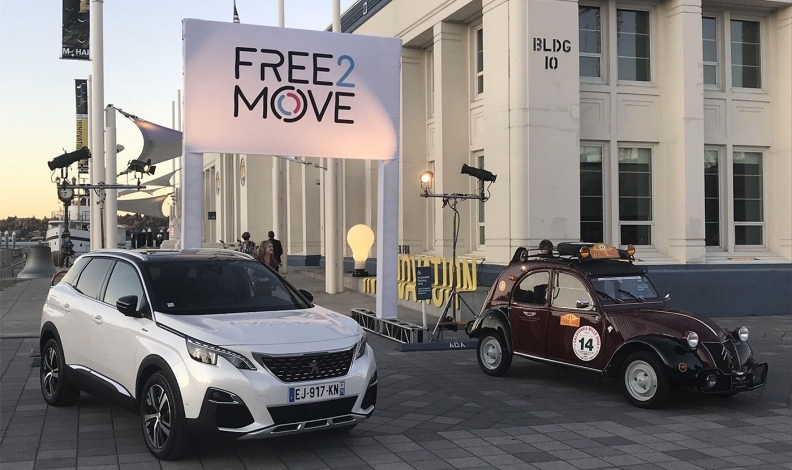 A Peugeot 3008 and a 1953 Citroen 2CV greet guests at the launch of PSA's Free2Move app. SEATTLE -- At last week's North American launch event for PSA Group's mobility platform Free2Move, a government official here boasted he was planning to use the app to get himself home. But then Scott Kubly, director of Seattle's Department of Transportation, realized the app wouldn't work for him because he needed to take a Lyft. Free2Move promises to link all kinds of transportation options together — allowing users to book trips using a mix of car-sharing, bike-sharing, ride-hailing and public transit through one interface and payment system. PSA has big goals for the app, but the biggest challenges it faces are getting some of the most popular and frequently used transportation options onto the platform, such as Lyft and Uber, which both have their own apps, and public transportation operators around the country. In Europe, Free2Move has connected about 400,000 users to 30 mobility providers in Germany, the UK, Spain, France, Italy, Austria and Sweden in a little more than a year of operation. The company said it's optimistic it can make partnerships with city governments in the U.S., which have been open to the opportunities Free2Move presents, despite past clashes with fast-moving mobility services. Uber and Lyft, however, have been less welcoming. "It takes a while to get them to understand the value of our aggregation," Larry Dominique, PSA's CEO of North America, told Automotive News of the French automaker's efforts to attract ride-hailing partners. "They worry about competition, but at the end of the day, we're trying to make it easier for their customers to engage with them." The mobility services app marks PSA's first step back into the North American market, which it left in 1991. For its U.S. launch, Free2Move partnered with car-sharing services Zipcar, Daimler's Car2Go and TravelCar, and bike-sharing companies Ofo, Spin and LimeBike. While such services are catching on — consultancy Frost & Sullivan estimates car-sharing will reach 36 million users globally by 2025 — they have yet to reach the popularity of ride-hailing. Uber booked $8.7 billion in rides in the second quarter of 2017, and Lyft operated nearly 14 million rides in July alone. "Uber and Lyft are unlikely to play along," wrote Mark Platshon, managing director of Icebreaker Ventures, a mobility-focused fund, in an email, citing the companies' already-sprawling operations. Spokespeople for Uber and Lyft did not respond to requests for comment. Ride-hailing is a key component to any app that tries to connect disparate mobility services, given that it doesn't require the user to operate a vehicle or bike. The demand for such services is evident in the apps' continuously booming popularity, said Mike Ramsey, a technology analyst at Gartner Research. If local government groups like PSA's app, a new alliance with Free2Move could solve a problem many cities feel they need to address: issues stemming from the rapid growth of Uber and Lyft. In their expansion, Uber and Lyft have run into local regulations barring or limiting their operation. Most recently, a San Francisco Police Department report published in September found that Uber and Lyft drivers received two-thirds of tickets for traffic violations in the city, prompting a member of the San Francisco Board of Supervisors to call for a lawsuit against the companies. Local governments could use Free2Move to keep people on public transportation, making it easier for riders to get from place to place and allowing them to avoid taking ride-hailing services. "We want to make sure we're not stifling innovation, but we want to make sure the innovation is serving everybody," said Seattle's Kubly. Kubly added that Free2Move has the potential to strike that balance by offering a diversity of services that can more quickly address the city's growing population needs. "It does represent this notion of transportation as a utility," he said. 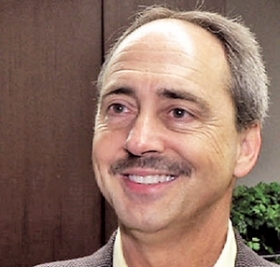 "We need private partners to help us grow." Dominique said PSA has been working with key cities to ensure Free2Move meets each government's mobility needs and will continue to iterate based on its experience. "I haven't seen any city yet that's argued that aggregation isn't a good thing," Dominique said. "In some cities, it's about making sure there's parking available for vehicles on the road, in others, it's about infrastructure or public policy. We're going to make sure we engage."